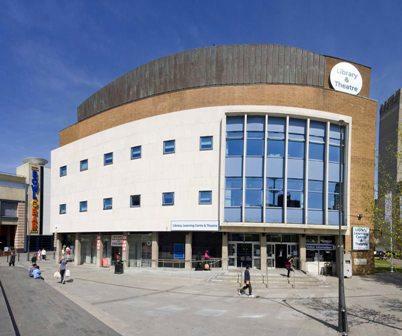 Directions: Luton Library Theatre is on the third floor of Luton Library. The nearest car park to the venue is in Library Road behind the Central Library. You can also get there via the Luton-Dunstable busway, alighting at Luton railway station. See the theatre website for further information. The map below shows Dunstable and Luton Library Theatre. You can scroll and zoom the map, and choose different map styles, using the controls provided at the top right.